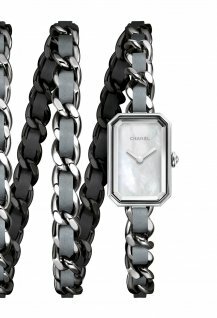 Tiny jewellery watches can make a big fashion statement, and they are making a sizeable comeback. 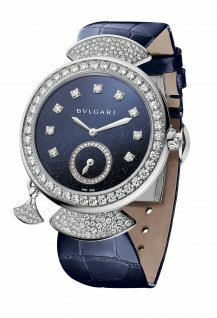 The snake, a symbol of eternal rebirth, and Bulgari’s favourite totem animal, is enjoying many outlets for expression this year, as we can see from the new Serpenti watch. No fewer than 312 (!) 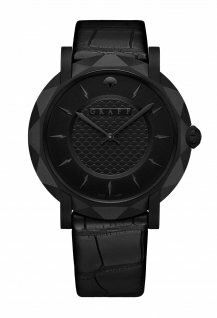 variations of the jewellery watch are now available. 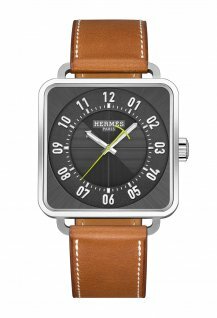 It is infinitely customisable, and can be paired with double-wrap straps made of Karung snakeskin or calf leather, which are easily swapped over thanks to a very practical attachment system. The sensuous 27 mm steel or rose gold case, optionally diamond-set depending on the version, encloses a customised B033 Bulgari quartz movement. 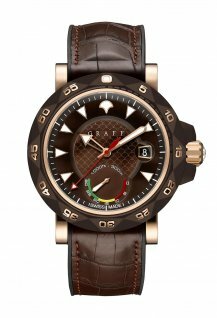 The dial comes in four colour variations – black, red, green or white – delicately lacquered or decorated with a sunburst guilloché motif. 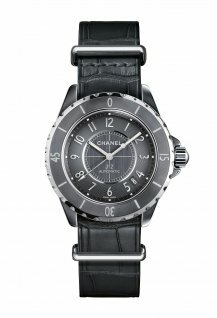 Chanel’s best-selling J12, launched in 2000, continues to show its versatility by adapting to a plethora of styles, both masculine and feminine. 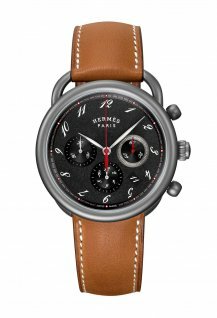 The latest version to emerge from the Parisian couturier has stepped back from the customary 38 mm diameter, shrinking down to a diminutive 19 mm. This mini format generates maximum effect, however, as the J12-XS has retained all the glamour and elegance of its big sister. 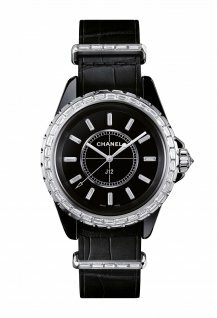 The newcomer comes in black or white ceramic, a material that is now part of Chanel’s watchmaking legend, and is set with diamonds, giving it a sophisticated, contemporary appeal. 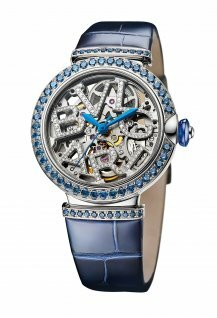 Graff, a brand synonymous with the world’s finest diamonds, this year presents a new small jewellery watch (19 mm). 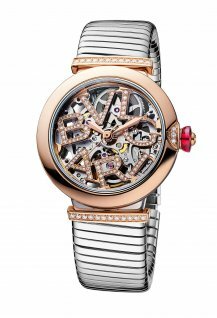 Paved with diamonds that swirl around the white or pink mother-of-pearl dial, the Spiral watch brings to mind the infinity symbol. The rose gold version with its matching satin strap is an ode to femininity and delicacy, with its soft pastel colouring. A sumptuous white gold version with diamond-paved dial is also available. The Nantucket, born in 1991, has the iconic elongated case with “anchor chain” motif designed by Henri d’Origny, who at the time had been asked to come up with a square-shaped watch. 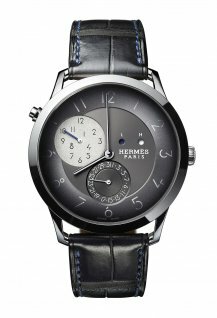 This year, the watch has been slimmed down to a dainty 17 x 23 mm. This Très Petit Modèle (TPM), which nevertheless retains the watch’s original proportions, comes in steel with an opaline silvered dial, silvered Arabic numerals outlined with anthracite and rhodium-plated hands. The Nantucket TPM, which is also available in rose gold set with 186 diamonds, is moored to the wrist via a single- or double-wrap strap. The elegant and timeless Symphonette, which Longines unveiled in 2015, welcomes several new references this year in rose gold, steel and diamonds. The oval case, which comes in two sizes – 18.90 x 29.40 mm (S) and 21.90 x 34 mm (M) – houses a quartz movement. 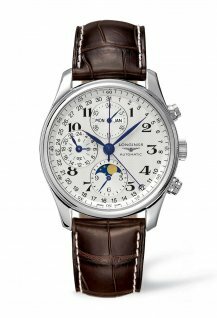 The models in this collection are available with a flinqué silvered dial and Roman numerals, a white mother-of-pearl dial enhanced by diamond indices, or a mother-of-pearl marquetry dial adorned with Arabic numerals. 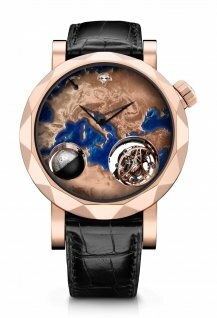 All are decorated with the hourglass logo in rose gold. 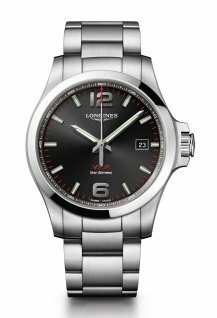 Mounted on a finely crafted steel and rose gold link bracelet, the Longines Symphonette is water resistant to 30 metres.